Online gambling can be fun, exhilarating and rewarding. 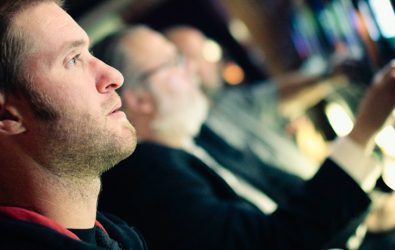 With laws and regulation in place to ensure safe online gambling can take place, it has become easier than ever for people to spend a significant amount of their day at online casinos. As exciting and satisfying as it may be, it is important for people to recognise gambling mistakes that can cost them big time. Some of these mistakes are based on myths and superstitions. Others, conversely, simply boil down to a lack of basic understanding of how online gambling should be dealt with. Periods of bad beats are common in gambling. They can be quite de-motivating, but you should never let such a situation compel you to risk more money in order to recoup the amount you have lost. If you do so, you will end up chasing losses. For example, if you lose $100 on a bad bet, then you should not put an extra $100 to make up what you have lost. You should think of gambling as a form of expenditure. If you are feeling lucky, you can consider it as an investment. Either way, you need to set a budget for all your online gambling experiences. It is important to set a daily win and loss limit. Once you have exceeded either limit, learn to walk away from the gambling area. This is the most effective way to protect your winnings and your savings. This is probably the biggest financial mistake that you can make in online gambling. It is perhaps the most irresponsible way to spend money that you have borrowed from a friend, a family, the bank or a credit institution. You should also avoid gambling with money that you have set aside for other purposes. You may feel that a glass of wine or a shot of tequila is what you need to go on a lucky streak, but there is no evidence to prove that drinking alcohol makes you a better gambler. Getting intoxicated prevents you from paying attention to the game and distracts you from opportunities to secure a big win. It could also affect your decision-making ability and tempt you to gamble more money than you should. The sound effects, the graphics and the variety of games on offer in online casino sites may dazzle you and compel you to gamble right away without a second thought. If you are not familiar with a game or are unaware of how to play it, then you better avoid it. More often than not, playing without knowing the rules causes you to hand over a large sum of your hard earned money to the casino within a very short period of time. Analyse your expected losses and understand the pay table before trying your luck. Every casino game can be played with an ideal strategy. It is okay for you to not be aware of it, but if you choose to never learn it, then you will eventually end up incurring losses. Ideal strategies can be applied to even slot machines. Spend your time in learning the tactics so that you can maximise your chances of making money. Online casino promotions are there for a reason. You can think of them as gimmicks that help drive traffic to casino websites, but they are also helpful in making your life as a gamer easier. Since online casinos cannot “comp” their customers the way land-based casinos do, they use promotions as an alternative. Even if it is just $10 or $20, be sure to make use of the promotions, especially if you are new to online gambling. The terms and conditions page has become somewhat of a joke in recent times. However, when it comes to online gambling, you need to take this very seriously. Be sure to read all the fine print you come across. The terms and conditions shape all bonuses, deposits and withdrawals. The more you learn about an online casino, the higher are your chances of keeping hold of your money. Simply put, the gambler’s fallacy revolves around the idea that if something has happened too often in the past, then it is unlikely to occur as frequently in the future or vice versa. You need to remember that probabilities are not based on memory. Modern online casino games are designed using mathematics. They are not going to take past events into account to produce results in the future. The gambler’s fallacy is nothing more than a superstition that you need to get out of your head before you gamble online.